Hyde Park, NY –The James Beard Foundation Awards are considered the most prestigious in the food world and often compared to the Oscars. Five graduates of The Culinary Institute of America were winners this year, along with a former visiting instructor at the college’s California campus. One alumnus earned two awards for food journalism. In addition, the Outstanding Baker Award went to Mark Furstenberg of Bread Furst in Washington, DC. Chef Furstenberg was a visiting baking and pastry instructor at The Culinary Institute of America at Greystone for several years and has been a presenter at CIA conferences. Also honored by the Beard Foundation was renowned sommelier Rajat Parr ’96, who was inducted into its Who’s Who of Food and Beverage in America. 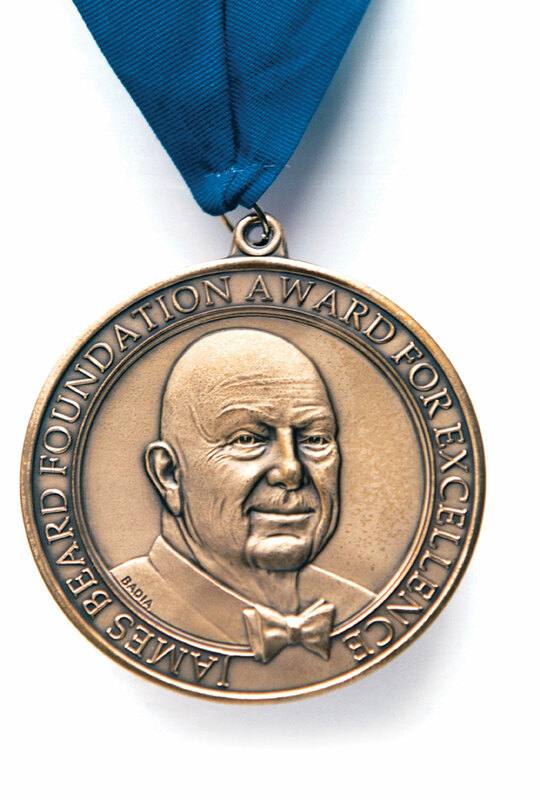 The James Beard “Who’s Who” roster is considered the Hall of Fame of the American food scene. CIA President Dr. Tim Ryan ’77 is a 2010 inductee. The James Beard Chef and Restaurant Awards were presented in Chicago on May 1; and the Book, Broadcast, and Journalism Awards were announced in New York City late April. Five graduates of The Culinary Institute of America and a former instructor won James Beard Foundation Awards in 2017. In addition, noted sommelier Rajat Parr '96 was inducted into the Foundation's "Who's Who of Food and Beverage in America." Founded in 1946, The Culinary Institute of America is the world’s premier culinary college. Dedicated to developing leaders in foodservice and hospitality, the independent, not-for-profit CIA offers bachelor’s degree majors in management, culinary science, and applied food studies; associate degrees in culinary arts and baking and pastry arts; and executive education through its Food Business School. The college also offers certificate programs and courses for professionals and enthusiasts. Its conferences and consulting services have made the CIA the think tank of the food industry, and its worldwide network of 49,000 alumni includes innovators in every area of the food business. The CIA has locations in New York, California, Texas, and Singapore.